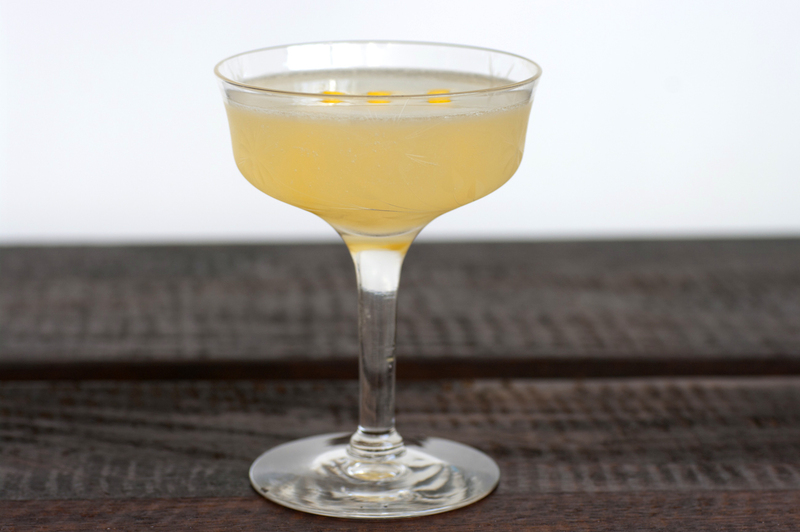 The Bee’s Knees cocktail is a gin, lemon and honey classic that dates back to prohibition. The phrase “bee’s knees” was prohibition-era slang for “the best.” In that time, the addition of ingredients such as citrus and honey were often used to cover the less than ideal smell and taste of bathtub gin. Improving the taste of an inferior gin may have been the goal, but the result was a fantastic concoction that can hold its own today. Caledonia Spirits’s Barr Hill Gin is the perfect gin for this recipe. Owner Todd Hardie is a beekeeper and honey enthusiast. His small batch gin is finished with a touch of honey. I also use his honey for the honey simple syrup for this recipe. This pairing certainly is the bee’s knees. hey man, this is great. Just made with slight tweaks (what I have on hand).. fantastic. Made it with Bombay East gin instead, and a lemongrass infused simple syrup. This is one of those cocktails that is great to give a person who says they don’t like Gin. Two of my favorite things. Getting creative with a classic recipe and converting vodka drinkers to gin. Cheers! Great recipe. I had a drink last night by this name at a speakeasy style place and was trying to figure out how to make it at home. 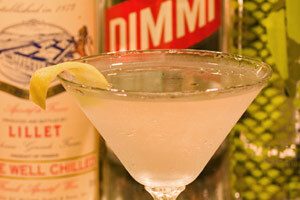 I used different ingredients (Damrak gin) but your recipe is perfect! Awesome! I’m glad I could help you out. If you like the classics try some more on my site. You can sort by classics or originals on the recipes page. Was wondering what type of honey do you prefer/use? There is a plethora available here, from clover through thyme to buckwheat, and was thinking that perhaps a strong flavored honey could really influence the drink. Any experiences/advice? I was using Caledonia Spirits’s honey. It’s by far the best honey I have every tried. I’m sure you can pick up some quality honey at you local farmers market. I like the simplicity of the Bee’s Knees. You sure can play around with different flavors in the honey syrup. I have yet to try buckwheat. Here’s a link to a twist on the Bee’s Knees, Reclaiming Provincial. Hiya! 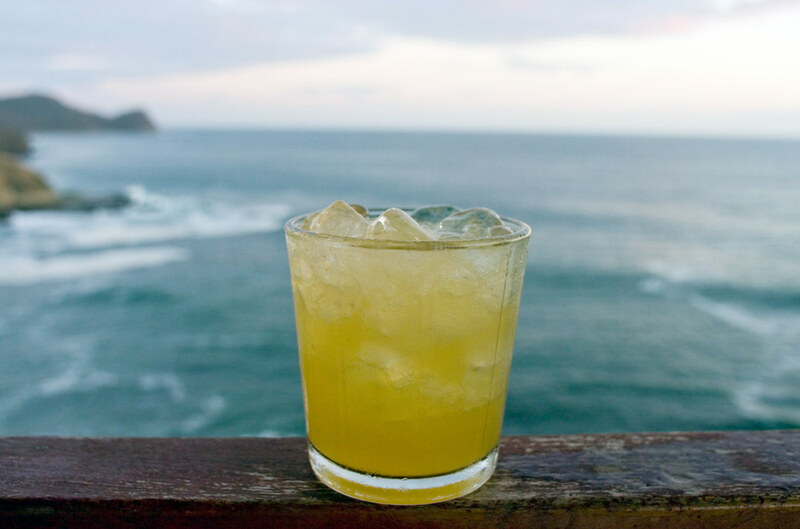 Thanks for featuring this delicious cocktail which I was able to use for my weekly cocktail post. Long live gin! Silly question, but how do you make the Honey simple syrup without heating it, and thereby losing the medicinal properties? How do you make the simple syrup in any case, heated or otherwise? A week or two ago, I made up a bottle of Vermouth de Provence, basically Noilly Prat dry vermouth that has been infused with its namesake mix of herbs. 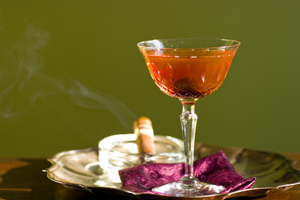 The recipe comes from Speakeasy, by Employees Only in New York, and is a critical component in their a Frenchified gin Martini, the Provençal , which is rather dry, heavy on lavender, and accented by orange — a nice apéritif. Not wanting the vermouth to go to waste — no single-use ingredients, remember? 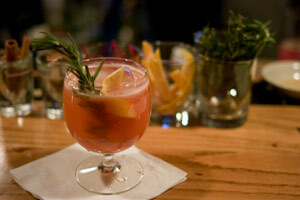 — I included it in the Ciao, Provence, where its dryness and powerful flavor help round out the drink. A truly beautiful drink to me; so enjoyable. Thanks for the recipe. I love it with Bombay Sapphire, but it gets to another level entirely, I feel, using Boomsma Jonge Genever (an old/early recipe for what has become “gin.”) in the same amount as “regular” gin. Delicious! I decided to try it ‘frozen’ with a handful of ice in the blender. It’s almost enough to convert me from margaritas! I decided to make this drink using Ransom Old Tom Gin and a honey syrup I made from a barrel-aged honey I bought at Woodinville Whiskey Co. It turned out great is now one my new favorite drinks to make at home. Thanks for the great website. I’ve been enjoying all of the lovely old-timey cocktails when I go out-thank you for recipes to try at home. And I agree with Tom-I didn’t think I liked gin until I had this tasty concoction. Yum. I’ve been skeptical of honey and gin for awhile but all the classics I’ve tried at home hit the mark so far so I gave this one a whirl. I steeped my water in chamomile tea first and then mixed with local honey and used a new local gin (Ottawa, Ontario, Canada). It was soothing and delicious on a cool fall night. Great recipe! Gin is KING and the drink deserves the praise it gets. It is dirt simple to make and is great to try with different gins just to see the variety of flavors. Barr Hill is great by the way. The Botanist as well as Plymouth work well (with slightly sweet to begin with. My slight variation is to add a couple drops of cardamon bitters — adds a great floral note to the mix. I’m going to be adding this cocktail to our gin bars cocktail menu. Standard recipe but I’m going to be using a sage infused honey syrup. Can’t wait to try it out!